We first encountered this orchid on the drive down from the Alpine Ridge towards the west side of Rocky Mountain National Park. It was growing on the roadside at the bottom of a steep slope, in ideal position to take advantage of the moister conditions created by the run-off of rainwater from the higher ground above it. 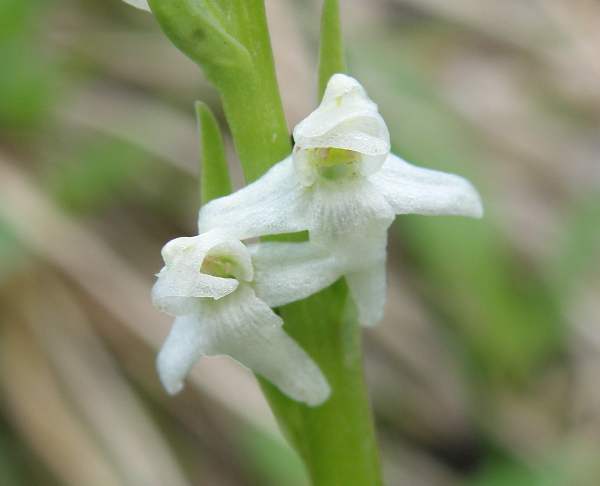 Growing to a maximum height of around 50cm in ideal conditions, the pure white flowers are fragrant, echoing orchids of the same genus that occur in Europe, both in flower shape and fragrance, namely Platanthera chlorantha (Great Butterfly Orchid) and Platanthera bifolia (Lesser Butterfly Orchid). The range of this lovely wildflower is throughout the western mountains of North America, and White Bog Orchid grows in both Yellowstone National Park and in the Rocky Mountain National Park. 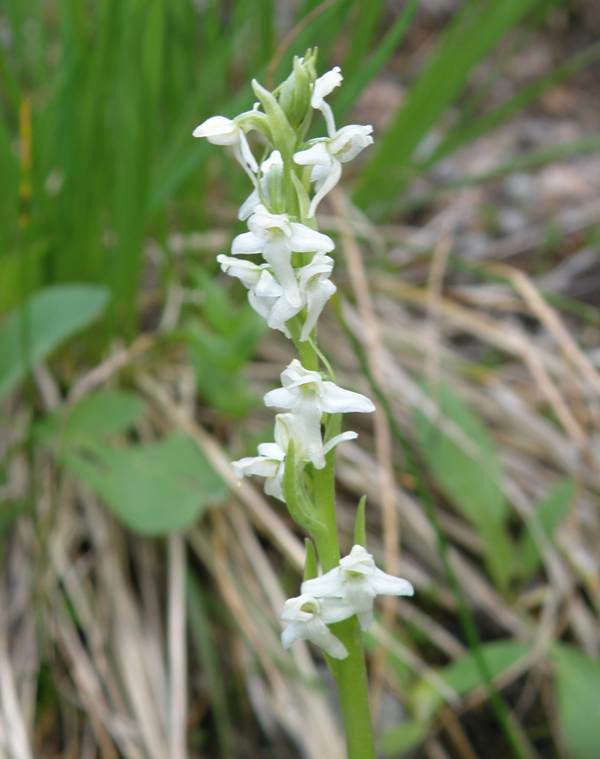 The White Bog Orchid only grows in wet areas in meadows, along stream banks and in wet flushes; it occurs in lowlands and in subalpine areas throughout the west and central areas of the Rocky Mountains. In the mountains this orchid blooms in August and September.